Native American Village - Step back in time 300 years! 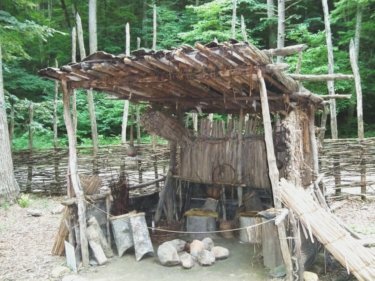 A fine example of an authentic Native American village on the East Coast of the United States, this historic site is located near Natural Bridge, Virginia. Just imagine the Monacan Indians living and wandering along the Cedar Creek Trail, just beyond the Natural Bridge, to the Village. What beautiful scenery! The Monacan Indians are Woodland Indians who lived and depended on the forest for sustenance and almost became one of the lost native American cultures. Using the whole site as a demonstration they demonstrate the skills of tool-making, hide tanning, shelter construction, rope making, weaving, canoe building and more that were needed in a Indian village. During each different season of Spring, Summer, Fall and Winter they show case the different activities and skills needed for that particular season. Construction began November of 1999 as the Monacan Indian Nation of Virginia returned to their sacred site, the Natural Bridge, to recreate an example of how their Native American tribes lived 300 years ago. This is an opportunity to show the kids an example of one of the few remaining Native American villages, learn about Indian folklore and experience living history. 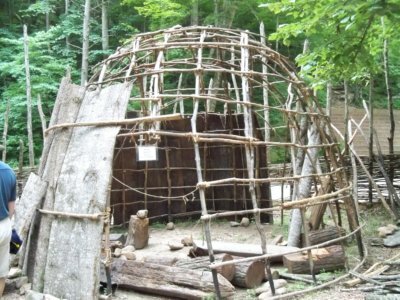 Bring the whole family and learn about one of the earliest cultures that we have right here in Virginia - the Monacans. 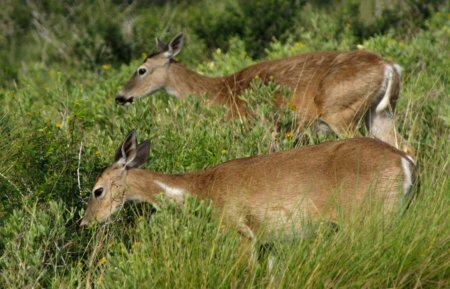 Other Virginia tourist attractions available in this area are the Natural Bridge Caverns, a Wax Museum, Natural Bridge Zoo and Virginia Safari Park. Purchase of a ticket to the Natural Bridge also allows you to visit the Village located just beyond the bridge. For more info call 1-800-533-1410. What was your favorite part of the Native American Village? Tell us about your visit to the Native American Village at Natural Bridge Virginia. It was interesting to see how the Indians lived and what their village might have looked like.